This photo looks superimposed….but it’s not! 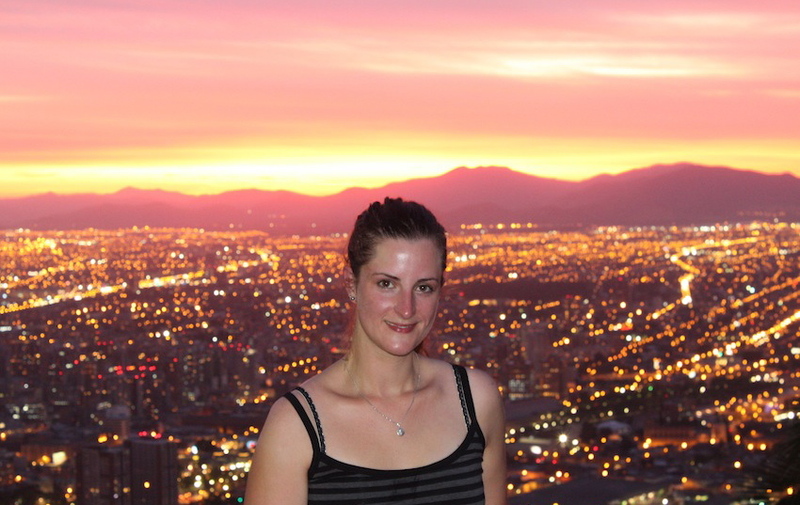 In fact, its a photo of me at the top of Cerro San Cristobal at sunset and I am this pink because of a (somewhat failed) attempt at climbing the hill on a bike. Failed due to my own mountain-bike incompetence – turns out I had the gears all wrong and was attempting to climb at one of the hardest levels! Still, what I managed to do was a great workout and at the top there were some fantastic sunset views to enjoy! Those colors are gorgeous! That’s a photo you’ll have forever! It truly was an incredible view! Apparently the sunsets are so colourful because of the smog but its not overly smoggy here.